Why do people seek false hope instead of the real deal? Vic Batista: You guys were going to try to put me on the spot and ask me a few questions. Take it easy on me, okay. You were going to hit me with a few questions regarding some of the things that I spoke about in our radio interview before this conference. Anything, Nathan? Nathan Jones: Well, Vic, I'd like you to comment on the crystal ball you used as an illustration. You also referred to a Merlin hat and fake tarot cards. Can you explain a little more why you think that people run to charlatans for some glimmer of hope when they must know that they are crooks deceiving them? Vic Batista: I know. Nathan. As I think about all these charlatans, I came to the conclusion that since people are so desperate because we are living in the last days, they are willing to turn to just about anyone for hope. It's sad to say the people who they are turning to really don't have any answers. They are just guessing, and at the end of the day they are merely just taking their money. The people are still left empty. They are still confused. This is why I find that this conference on hope is excellent to provide the real hope and the real truth about the future. Where does this real truth come from? It comes from the Word of God. Anything that is not found in God's Word, we know that it cannot be trusted. It is a lie. I really feel that one of the reasons why people are just desperate is that we as the Church of Jesus Christ have not capitalized on the hopelessness and taken the opportunity to witness to them and give them the hope in Christ that we have. I'm reminded of a lady who once handed me a tarot card. It was a God ordained appointment right there for me to turn to her and witness to her. She probably never had anyone actually try to talk to her about spiritual truth because people instead turned to card readers such as herself as their supposed spiritual advisors. It was really cool just to be able to present to her that our hope lies not in the superficial, but what the Bible has to say. If we can at least plant the seed of the Gospel in somebody's heart, I think it would be all worth it. Steve Howell: I will just follow up and say that underscores why it is so important that in our churches we have to make the Word of God central. That has to be a priority. We have too many people who are biblically illiterate, who are not confident about their knowledge of the Bible, and so they secede their authority to somebody else. They give up and say, "Okay, I need an expert to tell me. I have to come here and you guys are the experts, so I can just listen to you guys and learn because, no, I can't handle it myself." But, the Word says that we need to train ourselves to become workmen who correctly handle the Word of Truth. That is what the Bible is there for. The more we know, the more confident we can be in the Truth. The more we know how to live, the more we know what hope is out there and the better we can answer the questions of the faith that arise. It is so critical that we get into the Word! Vic Batista: And do you know what, Steve? It is interesting, but if you ever actually challenged one of these so called Christian spiritual advisors, you would be surprised how little they actually know about the Bible. They have these twisted truths. I was at a Starbucks, which is my mobile office, and this older lady came into Starbucks. She saw me reading my Bible. I always encourage people to wherever you go to take a Bible with you whether it is a Starbucks or wherever, and just open it. An open Bible is a great conversation starter, right? Well, I just had my Bible open and she came over and she remarks, "Oh, I see you have a Bible." I replied, "Well, yes, I read the Bible." And she goes, "Actually, I have my own group and I teach the Bible to different people every week." I'm thinking that maybe she's a pastor of something. It turns out that she had this small group like a Bible study and she was their spiritual advisor. When I began to talk with her about biblical truth and what the Bible teaches, I quickly realized she had bits and pieces of what the Bible said, but not a good working knowledge. She was pulling Scripture out of context and spiritualizing those Scriptures. Where do we get cults from? 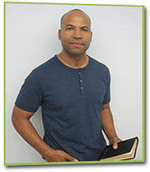 Vic Batista: People who don't know the Bible think their interpretation is true just like the enemy does, right, Nathan? Nathan Jones: We have cults because people take a verse or two, pop it out of context, and then they run with it thinking it's this great idea. We can fall to that, too, unless we interpret the Bible literally and what is called hermeneutically — the art and science of interpreting the Bible. That's one of those Bible school type definitions. To avoid becoming a cult ourselves, we also have to take the Bible in its entirety. We can't just flip to a verse such as Isaiah 3:4, "I will make boys their officials; mere children will govern them," and there you go, I'm going to have a whole cult about turning boys into officials. You just can't interpret like that! You've got to read the Bible in its entirety to see it's themes, and that requires what some people call that dirty five letter word, "Study." You've got to study! If the Bible's God's Word, if it is the key that unlocks eternity, then why are we lazy about it? I can understand that some people are not readers, but there are plenty of videos and plenty of other types of resources. Otherwise, how are you going to know if somebody is telling you the truth? How do you know if the four of us are telling you anything legitimate unless you get in there and study for yourself? It is very important. It's got eternal consequences. How can we know the Bible we have today is true to the original? Vic Batista: Steve has brought us some excellent points regarding the copies of the working manuscripts that we have today in what's called the Bible. Those should serve in giving us great confidence for us that the Word that we have in our hands is as true today as when the biblical author put pen to paper. Steve, you mentioned there is something like 24,000 copies of the Bible from near New Testament times? Steve Howell: The world has 24,000 copies or fragments of copies that have found over the years. Such historical proof is just amazing! Now, there have been found some variations in those copies, but it is equivalent to a typo, like putting a space between the "e" and the "h" in the word "the." We can figure those out easily enough. If you have multiple copies where the typo was here or a typo was there or this one was plural and this one was singular, you can compare the variations and conclude they are not significant variations. You can look at them, and unless you are a complete idiot, you can figure it out. You'll be able to figure out what the original said. That's a great thing! I think that shows God's hand in it. If we only had two copies somewhere then there would be a lot of doubt. And yet, God was faithful and He preserved these copies along the way so we can find them and so we can check and be absolutely confident that the Word that we have today is the Word that He intended. We can have no doubt that if we study the bible we can truly know. Vic Batista: You said something interesting, Steve, when you said that we have these ancient manuscripts which we can cross-reference so that we can see the same thing that is in today's Bible. Don's Bible, by the way, is a nice Bible. I love the star! But, isn't it amazing that the same Bible that you have here we can look back to the ancient copies and we match them up and we can see that it's exactly the same? I don't know about you guys, but I love to collect Bibles. If you go to my house I have a whole bunch. Nathan Jones: We even have a Navajo Bible. Vic Batista: You do? The reason why I have so many Bibles and I tell people this, is there's a purpose for them. I try to collect the oldest types of Bibles. For me, I just love to see what the Bible said in the 1500's compared to the newer language versions. For that same reason, because there are skeptics out there who would say that the Bible has errors and the Bible can't be trusted, I can confidently reply, "Wait a minute! This message today is the same as it was 500 years ago, a 1,000 years ago, and so on. If there is a problem here, I don't think it is with the Bible. I think it is with you." So, that is why I really love what you were saying Steve, regarding different copies and manuscripts and being able to cross-reference them. It gives us security and the truth that this Word which we have is the reliable Word of God. So, thank you for that! I can give you a quick answer that may be wrong. I know that John sees Heavan (Revelation) and perhaps Peter, John and James got a glimpes of it at the transfiguration, though it does not explicitly say that. Similarly, and again I am not sure, some of them may have seen Heaven before they died just as Stephen did (Acts 7). Anons...use the "name" option when posting - you're still anonymous, you can even use a fake name (as I did), but it helps the rest of us keep track of who is who when responding. To: Anonymouses, or anonymii or whatever, If read in context with verse 28, Luke 9:27 very certainly must refer to the translation, what else could it be, because He said will not taste of death 'until' they see the kingdom of heaven. Then 8 days later poofo! They are still going to die or He wouldn't have said 'until' so it can't be the rapture. Jesus doesn't make mistakes and I believe that He has the power to protect His word so that it remains infallible. I don't think He would be referring to what Stephen said, first because of the context and second, I think it would be phrased a bit differently somehow. verse 27 sounds like something special not related to death except in contrast, because you usually have to be dead or at least very near death to see it.